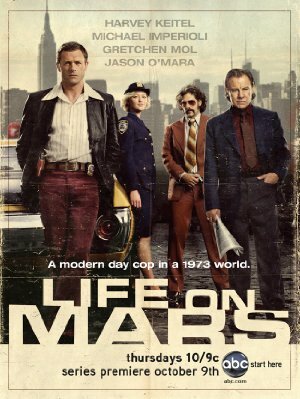 New Clips Show More Life on Mars! The promos for ABC’s Life on Mars remake have started to hit the net showing some longer clips of the new team in action. They’ve also release a ‘Starter Kit’ video, explaining more about the characters. Jason O’Mara actually seems to have far more life to his performance this time round than his zombified look in the first pilot. It’s just all looking much slicker. It’s also looking much closer to original UK version of Life on Mars. Looking forward to seeing the first episode. ← REVIEW: Earbud headphones that actually stay in the ear! I have to say that I am more than a little curious about this show. ABC tends to do cop shows pretty well. I saw the preview at http://www.youtube.com/watch?v=vEWpWM7Iyhc and it looks pretty interesting.